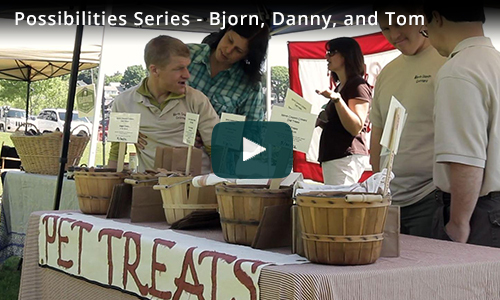 The Michigan Developmental Disabilities Institute's (MI-DDI) award winning Possibilities series of videos focuses on the lives and accomplishments of individuals with developmental and intellectual disabilities. Each 4-7 minute video highlights the journeys of different individuals, along with their family and friends, and illustrates the lives possible for all people as they mature, become independent, and pursue their life's dreams and goals. 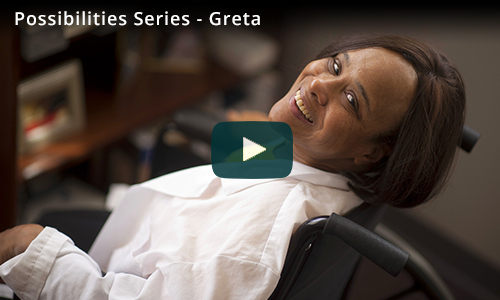 The concept for the Possibilities video series was born out of the desire of Dr. Barbara LeRoy, to provide positive portrayals of persons with disabilities which would inspire and inform all who view them. With the help and expertise of writer Suzanne Rondeau, and filmmakers Larry August and Jonathan Rakozy of Avalon Films, Dr. LeRoy's vision was realized through the creation of the six Possibilities videos. The purpose of the Possibilities series is to present a vision of how individuals with developmental and intellectual disabilities and their families can lead the lives that they wish to lead, without barriers and in the direction they truly intend to go. The hope is that these films are viewed and shared by anyone looking to explore all of the possibilities that life has to offer! The videos can be viewed online, at the top of the page. A companion discussion guide was developed to accompany the videos and can be downloaded through this link: Possibilities Discussion Questions. The brief discussion card provides a list of reflection questions that can be used by individuals with disabilities, family members, friends, and professionals to lead conversation about the videos and how the situations of those portrayed hold both similarities and differences with you and/or your loved ones. We encourage you to view and share these videos with anyone you feel would benefit from seeing them. The most recent addition to Possibilities features Alex. 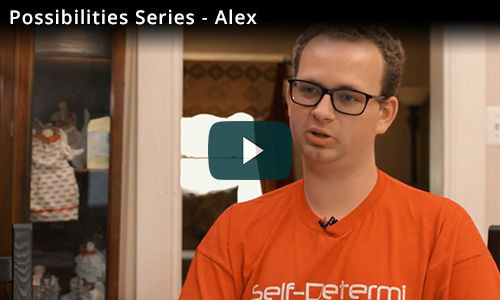 Known as "The Self-Determinator", Alex lives a full, busy life of family, work, and inclusion in many community organizations. His goal is to help others realize the positive impact that living a self-determined life can have. He works toward this goal further by conducting training on self-determination throughout Southeast Michigan.